Former two-division UFC champion Conor McGregor took to Twitter earlier this evening where he announced his intentions of returning to fight in the octagon. The Irish superstar, who had made some controversial posts yesterday evening which were later deleted, issued a form of apology in today’s tweet. In addition, McGregor seemingly announcing his intentions of returning to the UFC. “Mystic Mac” had announced his retirement from the sport just last week. As many assumed, McGregor’s second career retirement was likely just a ploy to gain ground in negotiations with the UFC for his next fight. Whether or not McGregor’s next bout will come as a rematch against Khabib Nurmagomedov remains to be seen. 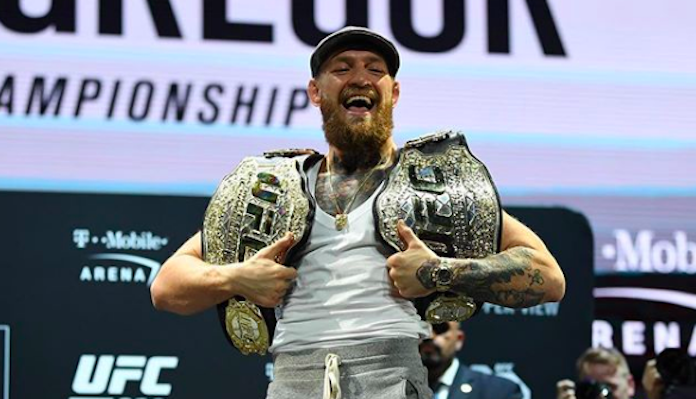 The undefeated Russian, Nurmagomedov, defeated McGregor via fourth round submission at October’s UFC 229 event in Las Vegas. Who do you think we will see former “champ champ” Conor McGregor fight in his next octagon appearance? Sound off in the comments section PENN Nation!